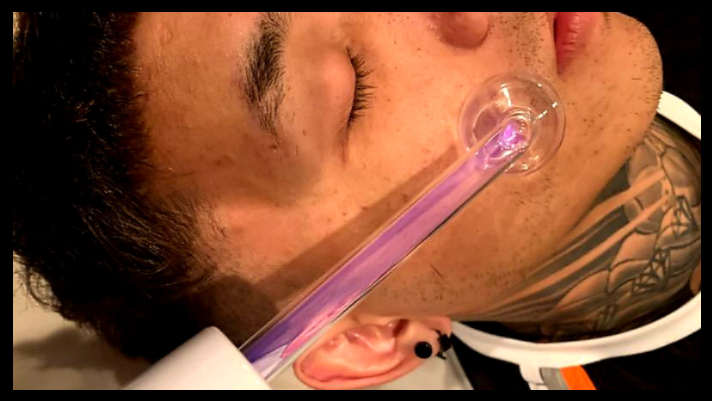 A high-frequency face treatment is typically used in facials to target stubborn acne, shrink enlarged pores, reduce the appearance of fine lines, and stimulate the scalp to promote healthy hair growth. The safe, gentle power of the electrical current has been shown to enhance blood circulation which will increase collagen and elastin production while also eliminating acne-causing bacteria. The estheticians at Modern Male are trained to use high-frequency machines in a one hour Bio-Targeted Facial. Although the use is not always necessary, make sure to ask your skin specialist if they think a High-Frequency Treatment can help your skin. Book an appointment ONLINE today or call 614-588-0550 to schedule your service needs.